Can putty or gasket type material be used on a flexible water connector? We do not recommend it. There are rubber washers inside the nuts to create the seal to the supply stop. The use of putty or gasket materials can introduce dirt at the connection. What material are the seals (O-Rings) made out of in push connect stops? All seals (O-Rings) are made out of EPDM material. I noticed that push connect stops include a tube stiffener. 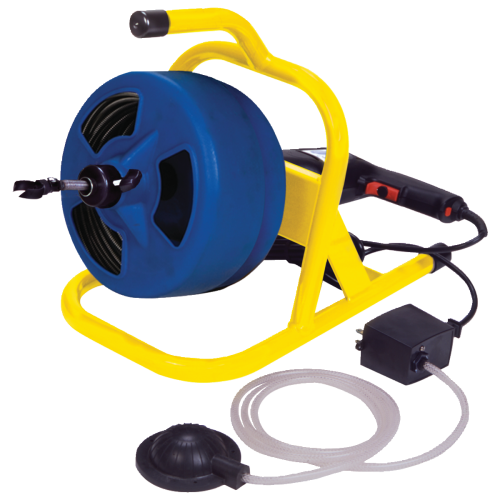 Do I need to use it for a copper tube installation? The pre inserted tube stiffener is not required for copper or CPVC installations, however it is OK to use it and it will not interfere with the installation. I installed my push connect stop and noticed that there is a small leak. What should I do to correct the problem? New Push Connect Inlet; Make sure that the stop is pushed in to 1” over your tube. Original Push Connect; Make sure that the stop is pushed in to 1-1/8” over your tube. The stop will bottom out once it’s pushed on all the way. That should eliminate the problem. Do I need to use any sealant to connect a push connect stop? No, do not use any plumbers’ putty, pipe thread tape or any other sealant to connect this particular stop. I need to remove a push connect stop but it does not seem to move. What I am doing wrong? New Push Connect; Position the stop firmly in your palm. Using the combination removal tool, snap tool onto the tube with lettering facing away from the stop. With two fingers depress removal collar back towards stop and pull from tubing. 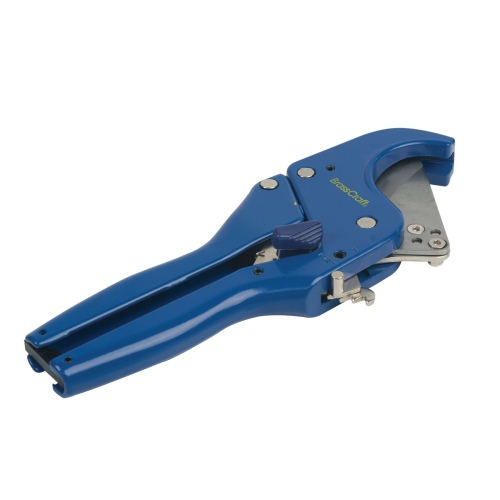 Ensure that the 3/8" OD side on the tool is facing away from the palm. Original Push Connect; Remove the locking clip. Position stop firmly in your palm, with two fingers depress removal flange back towards stop and pull from tubing. Before reinstalling stop, insert locking clip between removal flange and stop body. Why doesn't the push connect x push connect stop 3/8" OD outlet include a tube insert? 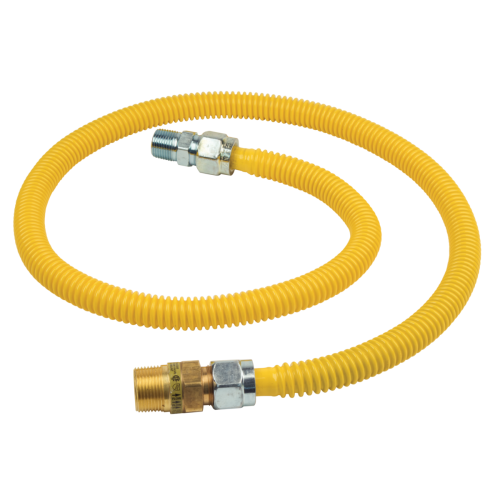 PEX tubing 3/8" OD or smaller functionally does not require tube insert. How much tube allowance is required to connect the riser to stop for the Push Connect x Push Connect stop? Mark the riser 15/16” from the end. Now push the riser into the stop until the valve reaches the mark and you feel resistance. Can BrassCraft Water Heater Connectors be used on the outlet of a PRV or TPRV (Pressure Relief Valve or Temperature & Pressure Relief Valve) to direct the flow of discharge? No. 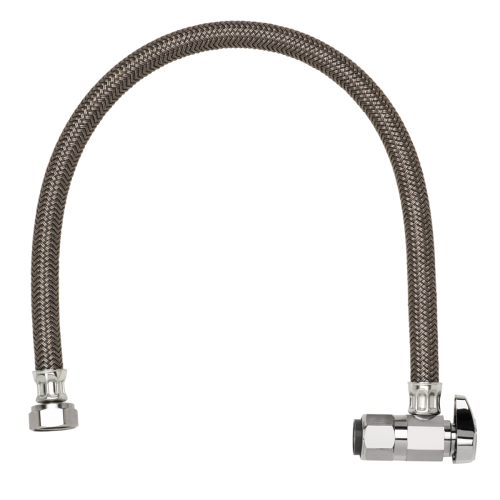 BrassCraft Water Heater Connectors are designed and certified to supply water to and from the water heater, and are not to be used as a discharge line. Please see your local code for approved installations and materials for discharge tubes leading from your PRV or TPRV. What is the operating temperature range of fittings? 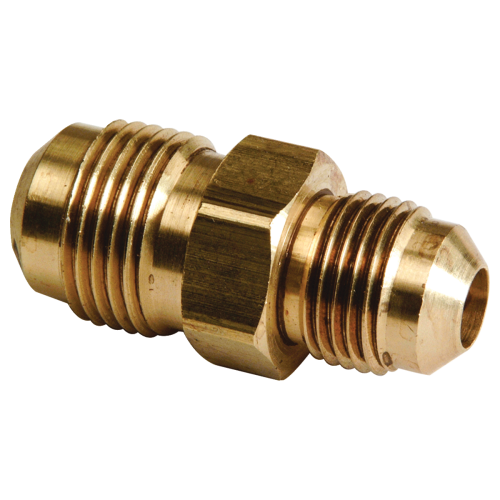 Most brass fittings have a temperature range of -65 degrees to 250 degrees Fahrenheit.